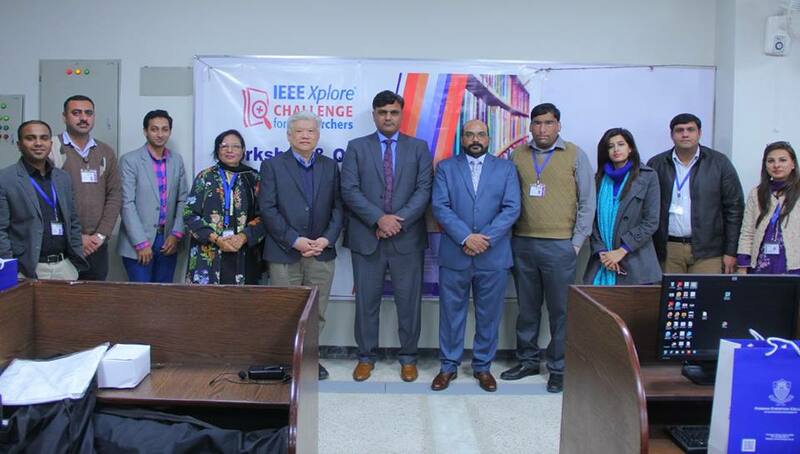 A remarkable Workshop and hands-on training on IEEE-Xplore Digital Library, was held on January 23, 2018, in the computer lab S-320 at the Forman Christian College (A Chartered University) by A&J DeF-TeK Consultants Mr. Rashid Pervaiz and Mr. Majid Lodhi. 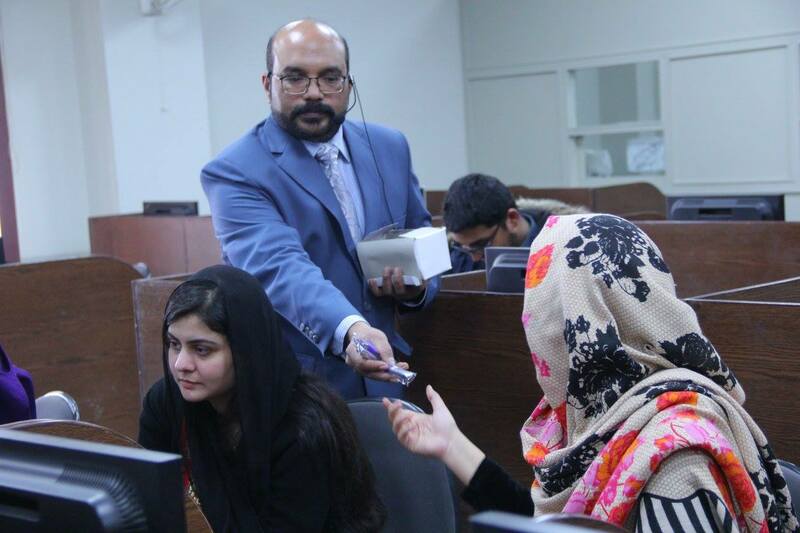 The workshop was organized under the auspices of the Ewing Memorial Library with the collaboration of A&J Def-Tek consultancy program. 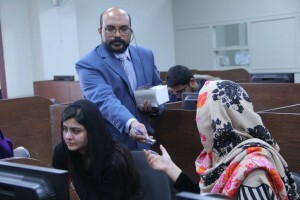 A large number of students, faculty members, researchers and scholars from different departments participated in the IEEE Xplore Challenge from 12:00 noon till 2:00pm. Chief Librarian Bushra A. Jaswal opened the workshop with the brief introduction of the IEEE-Xplore as well as the two resource persons. 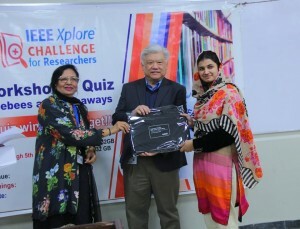 Mr. Majid Lodhi and Mr. Rashid Pervaiz conducted the workshop in a beautifully synchronized collaboration to practically demonstrate the contents and usage procedure for two highly useful and knowledge-full information resources; the IEEE-Xplore and the ProQuest E-Books Central and distributed Freebees and Giveaways. At the closure of the workshop Dr. Joseph Sun, Vice Rector by conducted a lucky draw and distributed prizes to the winners. 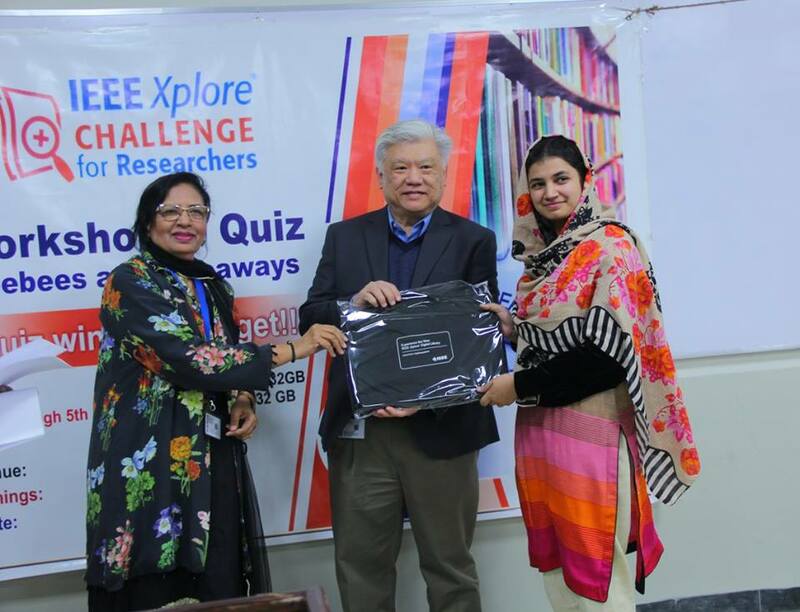 Dr. Joseph Sun also addressed the participants and encouraged them to promote research culture with the usage of IEEE Xplore Digital Library and inform and educate their friends at FCCU campus. In her closing remarks, Chief Librarian Bushra A. Jaswal thanked Dr. Joseph Sun for his time and presence to grace the occasion with especial thanks to resources persons and the Library staff members for making the event so interesting and successful. At the end on the event, FCC souvenirs were presented to the resource persons by the worthy Vice Rector, Dr. Joseph Sun, to the two resource persons as a token of gratitude for holding the workshop at FCCU. Copyright FCC Ewing Memorial Library. All Rights Reserved.